Gemini 2 is a new substantially upgraded version of Gemini Classic. 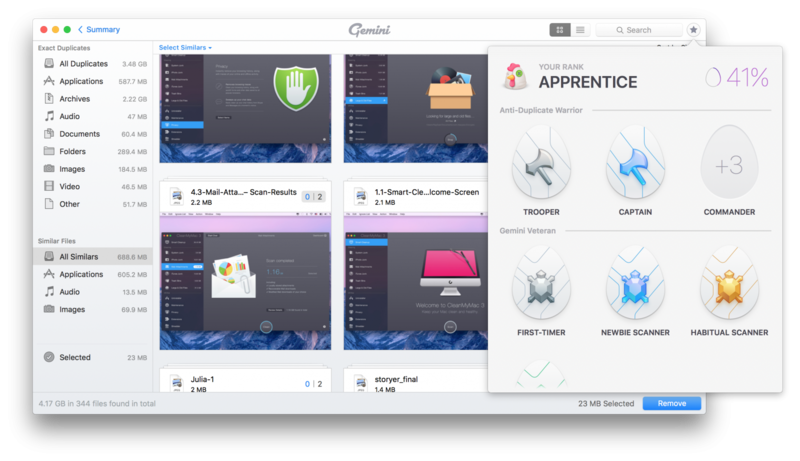 The application still finds and removes identical files on your Mac, however the difference between two generations is considerable, both in terms of design and technology. To make things clearer, we'll compare Gemini Classic and Gemini 2 below and reveal their key differences. 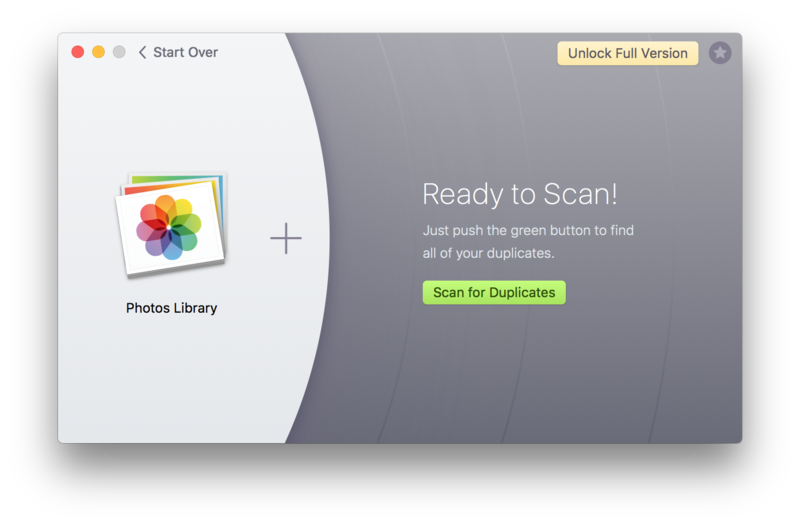 Although the main window looks similar, Gemini 2 uses a bit different approach to adding locations and scanning your Mac for duplicates. In particular, after clicking on the Plus button, Gemini 2 offers you to choose from the most popular locations: Home Folder, Pictures Folder, and Music Folder. Also, Gemini 2 has a new Smart Selection algorithm that learns the way you make choices and applies this experience to future scannings. Therefore, Gemini becomes smarter and more precise at automatic selection with every session. To illustrate the difference, we've launched both apps on the same computer. 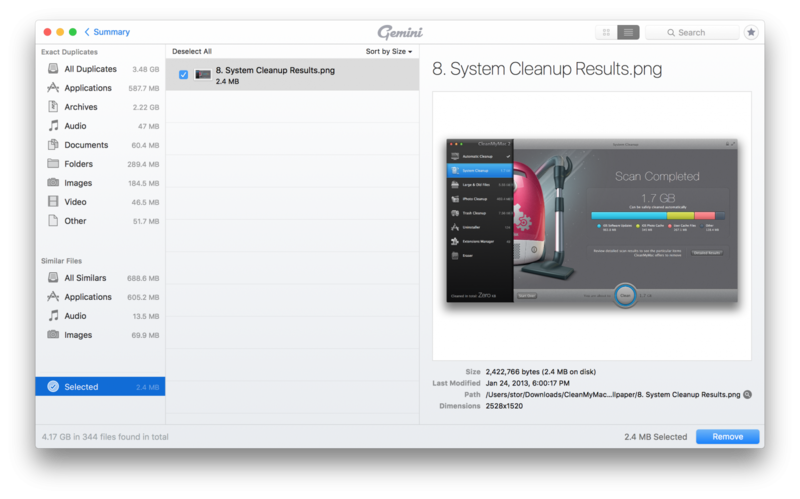 As a result, Gemini Classic found 3.02 GB of duplicates while Gemini 2 detected 4.17 GB, 2.16 GB of which were pre-selected and ready for safe removal. Unlike Gemini Classic, the new version has a more convenient summary screen with a brief results overview and handy chart grouping duplicates by type. When you hover over a section of the chart, it shows you the size of the particular file category. 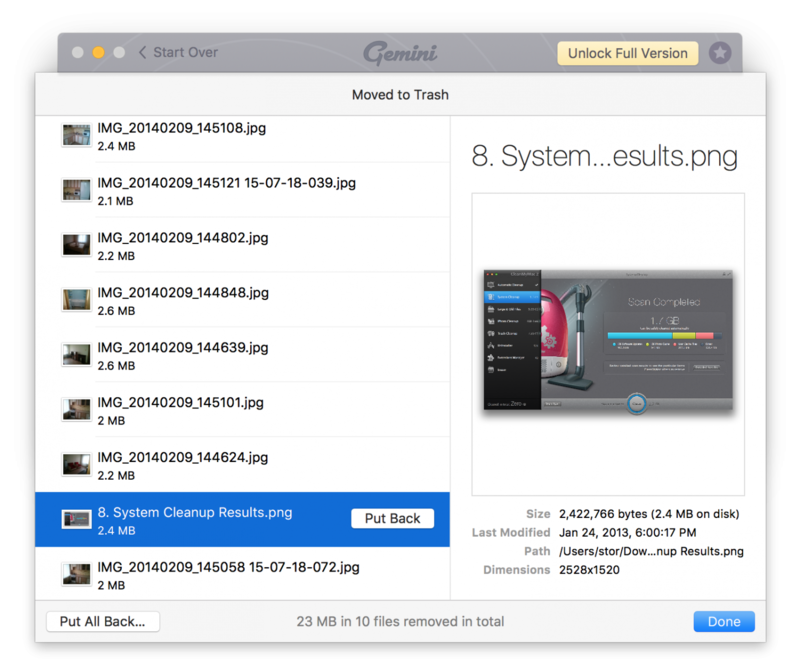 By default, both Gemini Classic and Gemini 2 put files to the Trash, which means that all accidentally removed files can be easily restored. 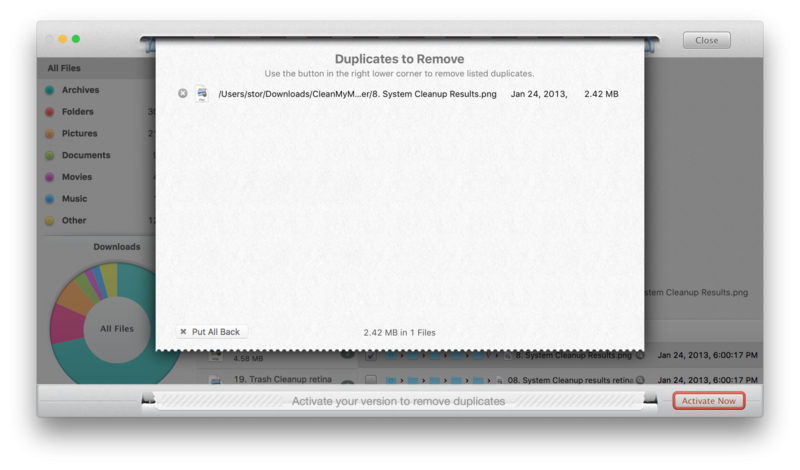 Gemini 2 even has a special Put Back button that returns a selected file from the Trash to its original location. 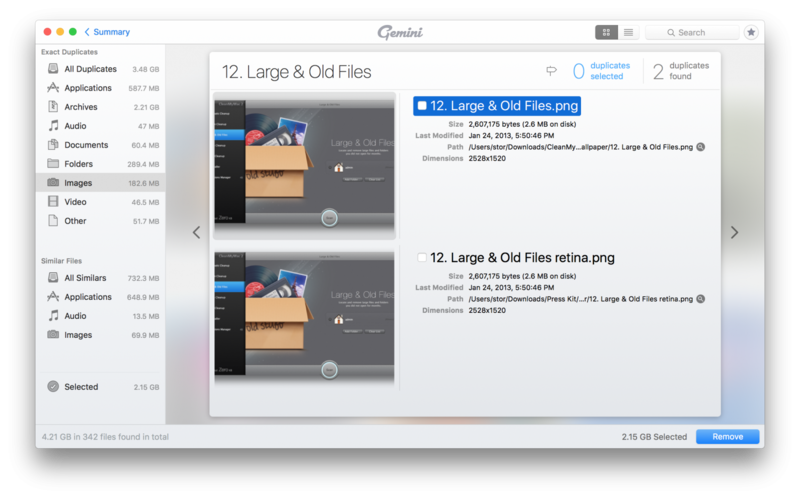 Gemini is now compatible with the Photos app! 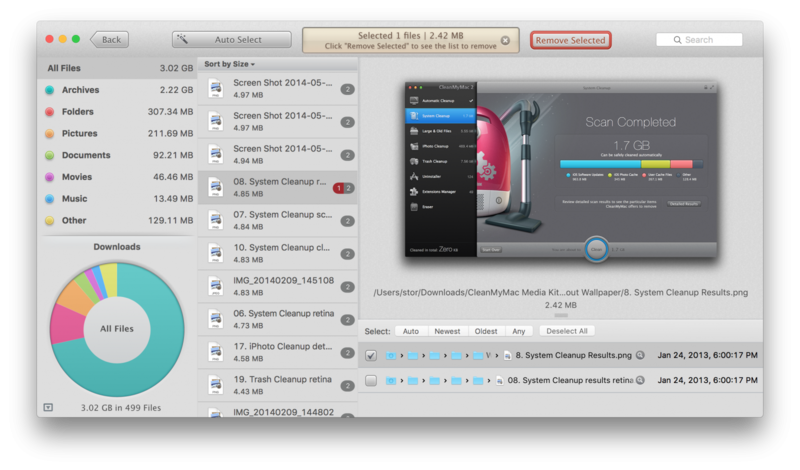 Just choose your Photos library, and let Gemini 2 scan it for duplicates and similar files. The icing on the cake is a system of achievements in Gemini 2. While scanning, removing duplicates, or taking other actions, you gain some scores and achievements that raise your rank within Gemini. 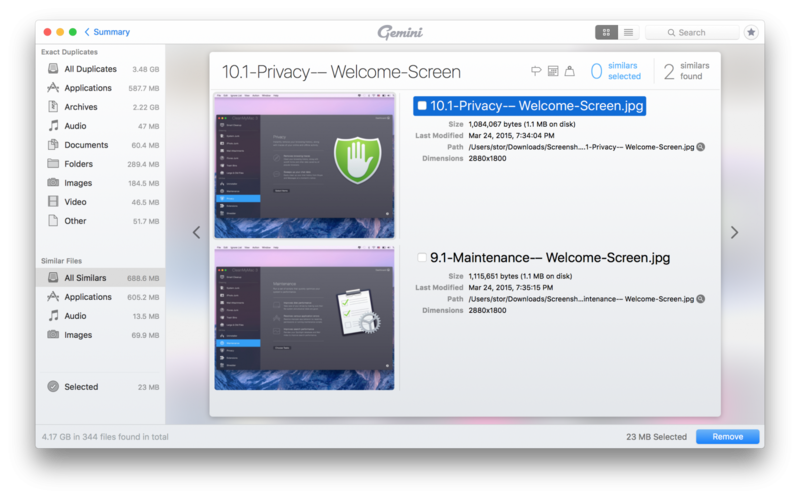 These achievements are both fun and valuable because the bigger progress in Gemini 2 you have the cleaner your Mac is. 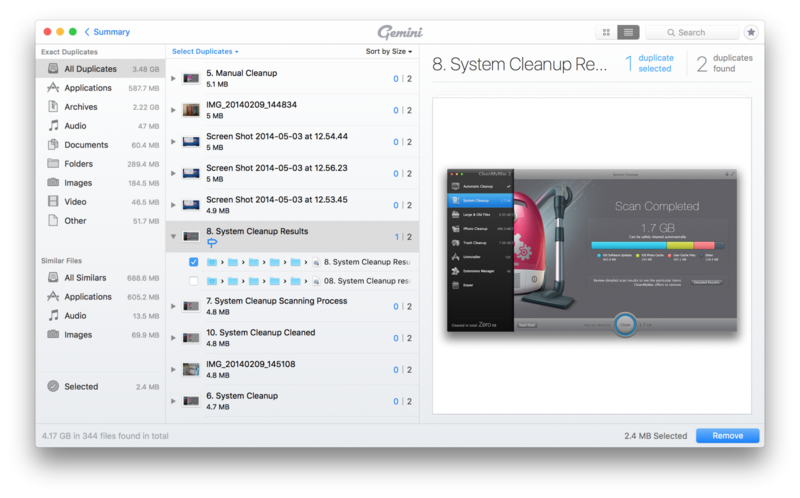 Try Gemini 2 by yourself and discover even more cool features and improvements. Have a great duplicate cleaning experience!